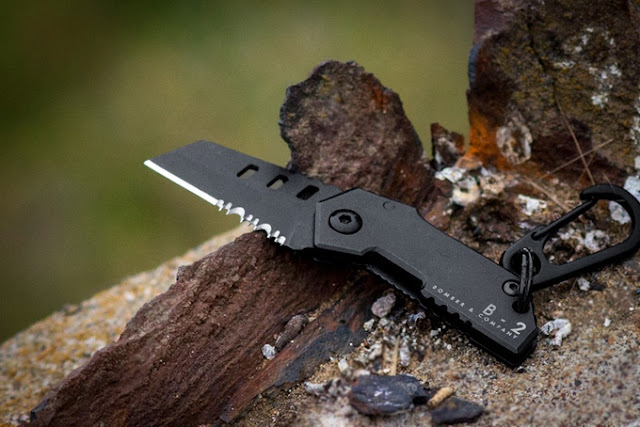 B-2 Nano Blade Hardened Combat Pocket Knife For Everyday Carry! In many cultures, a knife is a rite of passage to manhood. A pocket knife is a very useful multi use tool that provides a handy little extension of what you can do with your hands! Anything from carving sticks and fixing things to defensive/offensive purposes you can use an everyday carry pocket knife; hence its never dying popularity. Knives aren't looked upon too strictly unless, of course, you aren't carrying a Crocodile Dundee-style blade! 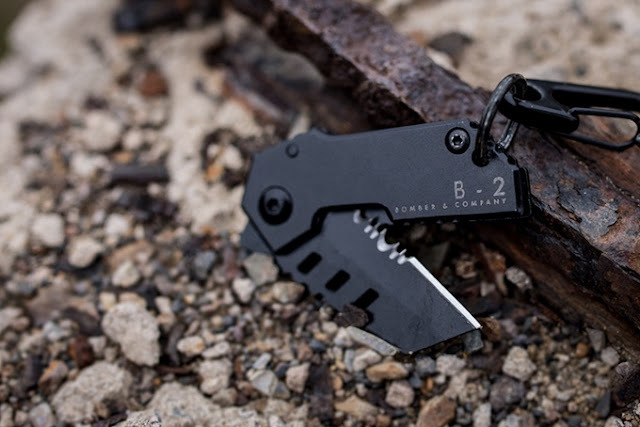 If small is what you are looking for in a pocket knife, why not go for the world's smallest pocket knife, the B-2 Nano Blade? The B-2 Bomber Nano Blade is made by Bomber & Company, comes with a lifetime warranty and measures only 80mm (3.14 inches) with a 5mm thick casing, and weighs less than 1oz! 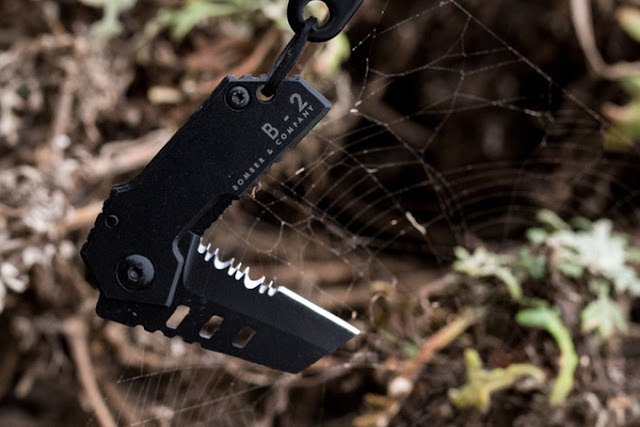 With the B-2 Nano Blade you get an EDC knife and tactical knife rolled-into-one with military features. 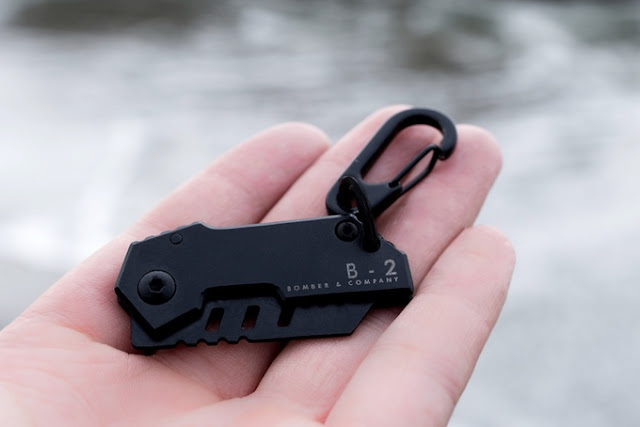 This means the the B-2 Nano blade is small enough to fit in a wallet, but "big enough" to use in a combat situation! Nifty features you get with the B-2 Nano Blade include a Great American Tooth pattern saw and heat treated 440C black stainless steel that gives the B-2 Nano Blade a 58/62 HRC (hardness Rockwell C) grade.